...And Keep Your Car Or Truck! Is your car or truck on the Repo-man's List? Have you fallen behind with car, truck, van, motorcycle, or RV payments? It's happened to the best of us. The problem is trying to explain your situation to the Loan Company. In reality, most loan companies don't really care about your personal problems. They are in business for one purpose: to make money. You made an agreement with them, and they want their money or they want your vehicle. The truth of the matter is that the Loan Company will not tell you your legal rights concerning what you can do or can't do about the situation. They just want their money. Think about it. Bill Collectors are generally paid based on how much money they collect, and in our experience that means they will many times say whatever it takes to get your money. If it takes being nice, they will do that. If it works, they get paid. If not, they will likely tell you things that will scare the hell out of you. Anything to separate you from your money. The bottom line is that they want their money or they want your vehicle. Federal Laws were created to protect you in situations that concern your budget, that cause you deep emotional stress, or that leave you with too many bills to pay. Something happens in your life that you didn't expect. You need some extra money, but you don't have it. You don't want to borrow from friends as it's too embarrassing, and borrowing from family is out of the question. You start thinking to yourself of ways to come up with money. Maybe if you put off paying the house or car payment, you can get some other bills paid, and hope that you can catch up next month. It would only cost you a late charge. It may start with an unexpected medical bill, or a work related layoff or some situation that you didn't plan for, and there goes the budget. The next thing you know it doesn't work out and here come the Bill Collectors! Send out the Repo-Man! Start the foreclosure! Not all lenders are that bad! As a matter of fact, a few will bend over backwards to work with you but in our experience that is the exception, not the rule. The Bill Collectors don't have to wait after you miss a payment. Most people think they are O.K. as long as they are not more than 2 months behind. Nothing could be further from the truth. The truth is that your car can be repossessed if you are even one day late on a scheduled payment. So why do some Bill Collectors wait before sending out the Repo Man. They really don't want your car, but if they have to when you don't pay them: BAM your car is gone. You might ask, “Why would the lender want my car?” The answer is so that the lender can, under the law, sell it and use the money to pay down some of your debt. In some cases, the whole idea is to resell it over and over to various people and each time charge plenty of extra fee's for the Repo, the paperwork, the legal end, the auctioning of the car and any additional fees laid out in your original agreement,. This is in addition to coming back at you for the rest of the money still due on the loan. Some car dealers resell a car several times. Sell it, get paid some money, repo it, resell it, get paid some more and so forth. Some years ago, the show "20/20" ran a story that told how some car dealers make as much as $27,000.00 on a $5,000.00 car. Federal Laws allow you to keep your car, 100% of the time, if (1) you file a Chapter 13 bankruptcy, (2) you need the car, (3) the car is not an unreasonably high priced vehicle, and (4) you can afford to pay your required Chapter 13 plan payments. Sometimes, all you need is some help catching up on delinquent payments. Chapter 13 can help with that. Many times, what you need is to lower the amount you owe on the car and possibly also the interest rate on the car loan. In most cases, Chapter 13 can help with that. Sometimes, you just need to stretch out the payments to lower the monthly payment. Chapter 13 can help with that. In Chapter 13 using the middle and eastern District of North Carolina as an example you can pay out a car for up to 5 years. It all depends on your situation, but if you are behind on your car, truck or motorcycle anything is better than doing nothing. You can't just sit and wait. You have to act because once the repo man has your vehicle it may be too late. The bottom line is that we can help you keep your vehicle most of the time, if that is what you want. However sometimes a car is not worth keeping or the car is an extra car you cannot afford. In these cases using Bankruptcy, we can many times dump the car and along with it the entire debt. In other cases, we can help you get rid of the car, and substantially lower the amount you still owe on the car. Sometimes, getting rid of one car, especially one where you owe more money on it than it is worth, avoids having to trade it in and carry all that debt over to the next car. This can be a tremendous help and this may be the first step in getting you into another car you can afford. When we do the calculations, the car you thought you wanted to keep turns out to be a car you want to get rid of, when you find out just how much it will cost you to keep it. You do have a choice. One way, or another, we can stop the Bill Collectors. Call and we can STOP the Repo-Man from taking your car. This all happens immediately, as soon as your Bankruptcy case is filed. A Word of Caution: Until you file, there is no protection. If you are behind on your vehicle, act now to find out your options before the repo man cometh. We can explain how this negative time in your life might turn out to be a blessing in disguise. You can use Federal Laws to return the car and pay the dealer nothing in a Chapter 7 bankruptcy case, or hopefully, very little in a Chapter 13 bankruptcy case. In addition, with all or much of your unsecured debt gone and your bankruptcy discharge in hand, many car dealers will welcome you with open arms and put you right back into another vehicle. They just want to know you are free from other debts and that you can afford the payments on the new car. Sure they will hit you up for more of a down payment or a higher interest rate, but at least you get wheels to drive and a way to work without having to carry over the debt still due on your last vehicle. What we are discussing is Federal Bankruptcy Law, and your rights under those laws! If you are over-burdened with bills and just can't make it financially, bankruptcy can help! 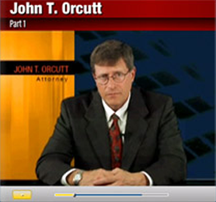 Talk with one of our bankruptcy attorneys today. Call us and setup a Free Visit, where we can explain everything to you in detail. We can help!